Now available at larger Boots stores and on Boots.com. Click to find your nearest stockist. “I have been recommending Sylk in a gynaecology setting for nearly 7 years and had many success stories from a wide age group of patients. Sylk is loved by both the women who use it, and the health professionals who recommend it. We’re proud to work with a range of health organisations that care for women’s health. 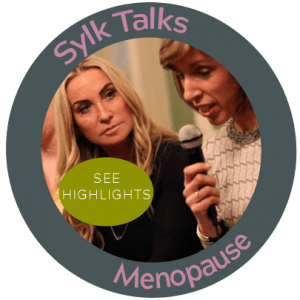 When you buy Sylk, we donate 3p to a fund to help educate nurses about menopause. Read more here.